John Mortimer, of course, is the author of the delicious Rumpole of the Bailey books - and it's possible that readers who may have picked up this book, expecting more of the same, might have been a bit disappointed. However, I loved it - it made me chuckle out loud on several occasions and I enjoyed it from beginning to end. The hero of the book is Felix, an author who achieved some fame in his early career (when he was likened to Chekhov) but has found himself "coasting" in more recent times, overtaken by racier novelists such as the rather obnoxious Sandra Tantamount. Felix's books, like Felix himself, are gentle types, as is his life in Coldsands-on-Sea - with only the thrill of the occasional company of his agent, the lovely Brenda Bodkin, to enliven his life. Then everything changes. Felix is chased for child maintenance for a boy he has no knowledge of fathering, by a woman of whom he has no recollection. Except that a beach and a lilo bed keep coming to his mind. Somehow he finds himself in the "underworld" of the homeless, where his adventures with the likes of Flo, Dumbarton and Yorkie Bar open his eyes to a world beyond his imaginings. Accused of murder, he finds himself in jail where he makes himself quietly comfortable watching Australian soaps and reading Sandra Tantamount books. Only the faithful Brenda (while still resisting his hopeful advances) is sure of his innocence and sets out to prove it. Though the book is basically funny, the comedy is balanced by some poignant moments - particularly the relationship between Felix and his elderly mother and, later, between Felix and the son who may or may not be his. Brenda is a lovely, warm character and the depictions of the many characters Felix meets in his foray into the underworld are cleverly drawn and ring true - though never having experienced this different world for myself, I'm not qualified to judge is they are realistic or not. The story moved at a fine old pace and I was never sure what would happen next. I love Rumpole too - but Felix didn't disappoint me! 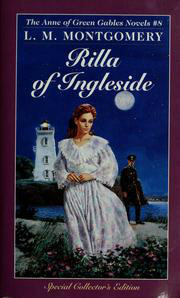 The despairing words of one of the characters in “Rilla of Ingleside”, the last of L.M. Montgomery’s series of children’s classics which started with “Anne of Green Gables.” For some reason, although I had read all the other “Anne” books as a child, this one had passed me by completely until the other day when I came across it among the 1,956 books which my son-in-law has loaded onto my e-reader for me. The book was written in 1921, so the horrific events of the Great War are still clear in the memory of the author. It’s been said that this is the only book written from the perspective of Canadians who sent their fathers and sons, uncles and nephews to fight a war thousands of miles away from which many never returned. In this book, it is through the words of Susan, the housekeeper, that we, the readers, keep track on what is happening in the Theatre of War. Some readers may, I suppose, find Susan’s pronouncements irritating but I warmed to her – a woman whose interest in current affairs once stretched only as far as who was marrying whom, and which new teacher was set to take up his / her post in the local school, but found herself on an almost personal footing (in her own mind) with the likes of Kitchener, the Czar of Russia and Lloyd George. I enjoyed her chuntering on about each victory and each defeat, always indefatigable in her belief that, whatever the disaster, the Allies (especially the British Navy which she held in greatest esteem) would ultimately win through. Rilla is the youngest daughter of Anne of Green Gables fame and, try as the author may, she cannot live up to the sheer loveable scattiness, vitality and vulnerability of the young Anne. Rilla’s “rite of passage” from frivolous teenager to a woman grown is shown largely through her adoption of “war baby” Jims – possibly the least believable part of the story, though for the sentimental reader (I have to admit to being one of these) there was a certain charm in the way Rilla raised her baby “by the book” and only came to love him by degrees. But this book was strongest in telling the true story of those Canadian men and boys who went off to fight in a foreign war for the sake of a motherland many would never ever visit. Here was explored not only the passion of those who signed up willingly for King and Country – but, movingly, the despair of gentle, creative Walter, Rilla’s brother, whose fear of the ugliness and brutality of war was far, far greater than his fear of death. And, especially, the book explores the dread of those who stayed behind to weep and wait. “They only give themselves,” wails Rilla to her mother, “We give THEM!” There is plenty to weep over as this faraway war claims the lives of Rilla’s nearest and dearest. It’s a darker, more serious book than the others in the series but, because it was written so soon after the end of the war, there is a feeling of truth running through the pages: this is how it would have been, to live with fear day in and day out, conscious, even in the midst of your own beautiful, natural surroundings, of the ugliness of a grim battlefield so far away. As many of you know, I love reading the books which my grandchildren are reading. It gives us plenty to talk about, if nothing else. 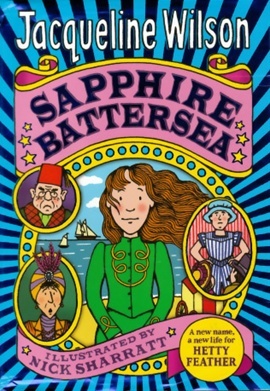 At Christmas I borrowed Hazel's copy of "Sapphire Battersea" the second in a trilogy of books by the much-applauded children's writer, Jacqueline Wilson. Jacqueline Wilson is to today's youngsters what Enid Blyton was for me. But while Enid Blyton's school-girl heroines made me wish I went to boarding school (all jolly hockey-sticks and jam scones for tea), Jacqueline Wilson always paints a picture of a far less gentle life. I still remember being concerned when young Katie, the first of my grandchildren to read Jacqueline Wilson books, spoke movingly about Tracey Beaker's terrible life in "the dumping ground" - as in, the children's home where she lived. Not the cosy world of Mallory Towers. Sapphire Battersea picks up the story of Hetty Feather from the time she leaves the grim Institution where she has spent most of her young life. Feisty Hetty dreams of being a famous writer and earning enough money so that she and her mother can live together in comfort. For now, she is an under-maid in the household of celebrated children's author Mr Buchanan where she wins over the formidable housekeeper, Mrs Briskett, and gains the doting attentions of Bertie the Butcher's Boy. There's lots of comedy in the book but also agonising sadness as Hetty / Sapphire realises that her beloved mother, Ida, is dying of TB. Jacqueline Wilson tells a story that was all too real in days gone-by and brings a piece of history to life. Part of the book is apparently set in the seaside town of Bognor Regis, very near to us and a town I know well, so I was particularly interested in the descriptions of the seaside of yesterday. The book ended so abruptly that I almost found myself checking that no pages had been cut out. I suppose the idea is to make sure we all rush out to buy the third and final book in the trilogy, Emerald Star. I think I shall have to. There is something about Hetty Feather - I can't just leave her there in Bognor Regis and not find out what happens to her! When the lovely Maeve Binchy died last year, her fans probably despaired at the thought that there would be no more books to savour. But here is "A Week In Winter", one of my Christmas presents from my eldest daughter. She said I had to read it quickly so that I could lend it to her when I see her in just over a week's time. Reading it quickly was not a problem. 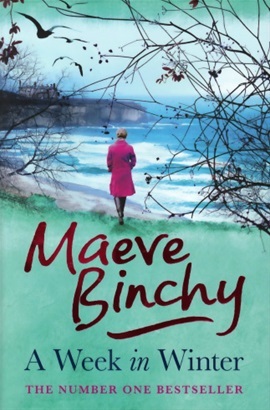 It never is with Maeve Binchy books which grab you from the beginning and defy you to put the book down (except when you're sleeping.) OK, so this novel followed a time-honoured formula of following the experiences of the various visitors who took advantage of a week's holiday in Chicky Starr's new hotel on the West coast of Ireland. For all but one of the visitors, the week saw a transformation in their lives as the calming influence of their holiday retreat helped them see the future from a different perspective. In a way this was one of the weaknesses of the book - I loved "Evening Class" which followed a similar pattern but was somehow more believable, with characters I cared about more than those in the new book. Chicky herself was perhaps the most interesting character, picking herself up after an ill-fated love affair which took her far from home and family, and returning with a secret past and an ambition to succeed. Maeve's many fans will be delighted for one last book to read. And the warmth of the writing, the skilfully drawn characters and the all-pervading atmosphere of Ireland make "A Week in Winter" an enjoyable read. 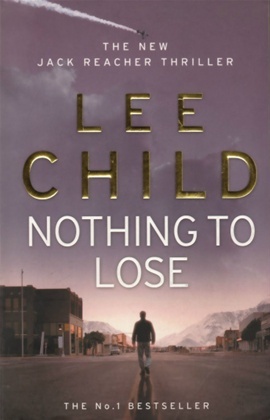 "Nothing to Lose" is the title of this Jack Reacher thriller by Lee Child - but, hey, our pal Jack may have nothing to lose but I feel as if I have lost hours which I could have used on more profitable reading. Sorry, Lee! In this "adventure", our hero Jack Reacher finds himself travelling between Hope and Despair. No, not what you might think - Hope and Despair are the names of two towns. Jack gets thrown out of Despair as a vagrant and, being Jack, reacts by making sure he keeps going back to find out more about strange goings-on. Who are the young men passing through and leaving without trace? And who is the one who didn't manage to leave? Is Thurman, the man who "owns" Despair, up to no good, even though as a Born Again Christian he says he has God on his side? The thing I like best about Jack Reacher is the way he goes to Janitorial Supplies Shops whenever he needs a change of clothing. Nobody travels light quite as well as he does. And, like me, he does enjoy his coffee. There is the usual no-strings-attached love interest, this time with a member of Hope Police Department. I finished the book but that's about it. I wouldn't recommend it - sorry. I kept hoping - and despairing. Lee Child is, of course, a best-seller so you may decide to give it a try anyway. Nothing to lose....? 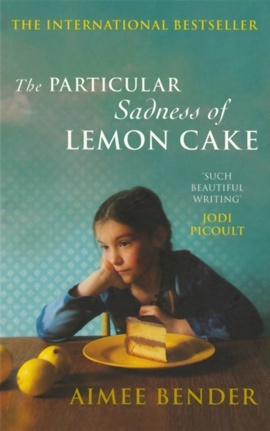 This book was recommended to me by my young friend, Louise, whom I met when we were both volunteers for the Summer Reading Challenge during the school summer holidays. During the "down times" when there were no littl'uns queuing up to tell us about the books they had been reading, we talked about - books, what else? And she told me I just had to read "Small Island." 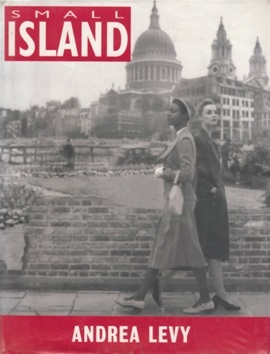 I loved "Small Island", the tale of Jamaicans Gilbert and Hortense who left their own small island in 1948 for another small island - their Mother Country, England. And how England didn't exactly welcome them, as a mother would, with open arms and encouraging words, even though Gilbert was a veteran of the Second World War. Only Queenie, whose husband Bernard had, strangely, failed to return from war two years after VJ Day, took them in and treated them with something approaching compassion. The main characters, Gilbert, Hortense, Queenie and Bernard, each relate chapters of the book and this was done extremely skilfully. Listening to Gilbert tell his story, for example, the reader forms a completely different impression of him from that gathered by reading Hortense's version of events. Hoity-toity Hortense, too, is revealed through her own words as an innocent abroad; I even found myself with a better understanding of Bernard, perhaps the least sympathetic of the four main characters, having read the chapters voiced by him. The picture painted of life in England for immigrants from countries like Jamaica is a sobering one, particularly the brutal comparison between the way they are treated and the way they still see England as the "Mother Country". And what I found really interesting was the comparison people like Gilbert made between England - despite the fact that they might be hassled, scorned and derided - and America where segregation meant they were treated for all the world like a lesser species. It seemed a fine distinction to me, feeling shame at the way things were in our country not so many years ago - but it mattered to Gilbert and his fellow countrymen. There is a poignant scene where Hortense, sure that she has only to present herself and her qualifications to be offered a post as a teacher, is casually and horribly humiliated by the women at the education authority - and, trying to make a dignified exit, walks into a broom cupboard by mistake. In the event, this incident marks a turning point in her relationship with Gilbert, who in comforting and reassuring her, shows her the caring side which she had failed to appreciate before. You might say it was the moment where the two versions of events met and both were found to be faulty - enabling a coming together which frankly had seemed an impossibility earlier in the story. Perhaps it is just too great a coincidence that Michael, the cousin whom Hortense loved and lost, turns out to be the lover who made Queenie understand what passion is all about. But it did provide a bitter-sweet twist to the end of the story - I won't spoil it by explaining further! Andrea Levy is the daughter of Jamaican parents and has doubtless drawn on their experiences of life in this country in the post-war years. As a result she helps the reader to appreciate the "way things were" while still rattling off a great read. "Small Island" was televised a few years ago and I remembered that, as I was reading. As (almost) always, the book is very much better than the TV version. Thank you, Louise, for the recommendation. I thoroughly enjoyed "Small Island." 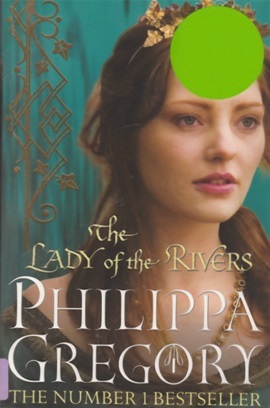 This is another in Philippa Gregory's series about the Plantagenets (see my reviews of The White Queen and The Red Queen below) and I borrowed it from the library on a "Quick Read" basis, which meant I had to return it within seven days. 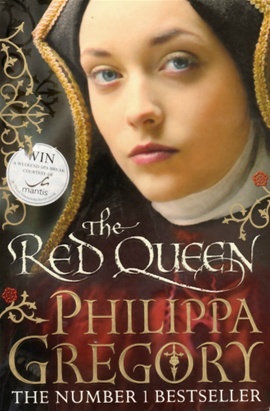 It's a pretty thick book, so I thought reading it in seven days might be a tall order, with so much else going on in my life at the moment - but I'd reckoned without Philippa Gregory's ability to draw her readers into a story and keep them turning the pages till reaching the end with a sigh of contentment! This book goes back in time from the events of the previous two novels and focuses on the life of Jacquetta, the mother of the White Queen, Elizabeth Woodville. Once again, the author has set out to cast light on a woman living in perilous times who held the fortune of kings and queens in her hands. 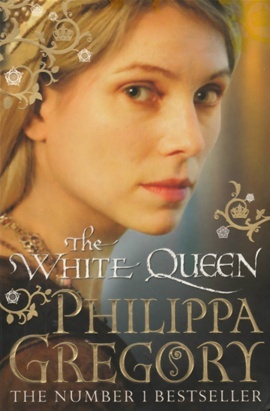 Jacquetta features in The White Queen but had not been a character I had been particularly drawn to - now, having read of her early life, I have had to return to the White Queen to re-acquaint myself with her. A woman's life in Plantagenet times was not worth a great deal but Jacquetta is fortunate indeed in that, second time around, she marries for love. Her husband, Richard Woodville, is constantly called upon to serve his king in battle after battle - always, somehow, returning to his wife's side. Having read The White Queen, and therefore knowing the fate that was to befall him, was agonising. The battle scenes were extremely well described, leaving no chance to romanticise the wars with the distance of the years. Jacquetta has The Sight - the ability to foresee the future, And when a member of her family dies, she hears the strange singing of the river goddess, Melusina, mourning the dead. Her first husband, the Duke of Bedford, had married her because he believed she would be able to help him discover the secret of the philosopher's stone, which can turn base metal to gold - but Jacquetta's gift of foresight is an unreliable one and she is unable to "scry" to order. I wasn't sure I would like the emphasis on witch-craft but Jacquetta has a believably reticent attitude towards her "gift", recognising it can be a torment as much as a comfort. Some of the best drawn characters are the least likeable, in particular the queen, Margaret of Anjou, married to a king who is either asleep, or at prayer, with no sense of how to govern - leaving Margaret to fight for her son's inheritance. As with the previous two books, Philippa Gregory explores the dangers for women living in these times if they seek to place or keep their sons and daughters in positions of power. I really need to find the next book in the series now - "The Kingmaker's Daughters." Hopefully I will have more than a week to savour it! I cannot understand why I haven't read this great book before. The story is told largely in the words of Celie, a young black girl whose early life has been stamped by unremitting awfulness. Set in the deep American South beween the wars, it tells a rich picture of a world very different from anything I can imagine - but one which springs to life through Celie's voice and, later in the book, that of her sister, Nettie. 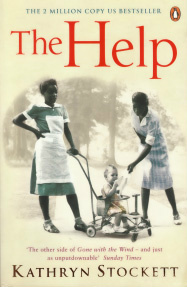 Hving recently read "The Help" (see below) it was interesting to make comparisons. But while The Help centred on the relationships between blacks and whites, there are very few white people in the Color Purple and none of them are central to the story. This is about black people and the way they lived their lives in those years between the wars. It is about strong individuals who manage to make something of their lives and at the same time help others to thrive and grow. But it's mostly about Celie, who, urged by her sister to fight, says: "But I don't know how to fight. All I know how to do is stay alive." Celie's life, in the early part of the book, is simply about survival. 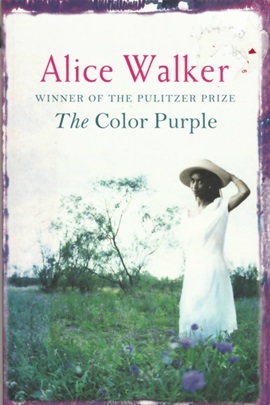 The best books, in my opinion, are those which deal in relationships and The Color Purple is rich indeed in this respect. There is the relationship between Celie and the glamorous singer Shug Avery who shows Celie how to take charge of her own destiny and introduces her to her own sexuality. Then there is the relationship between Celie and her husband Mr A - particularly interesting in the way that it changes from abusive to caring as time and experiences alter their views of each other. Most touching of all there is the relationship between Celie and her younger sister, Nettie - carried on through letters most of which neither of them receive, but which they each keep sending because only in that way can they keep faith in each other and the hope that they will, some day, meet again. Because I, too, have a sister, I can understand the bond which binds Celie and Nettie together, whatever the distance between them. The final chapter had me in tears but they were happy ones. I'd come to love Celie as I read of her trials and her triumphs and I loved the beautiful ending - it was "feel-good" but in the best possible way, gentle, natural, with a joyous feeling that "this is how it was meant to be." This is the story of Eva Beaver, who suddenly decides to climb into bed, pull up the covers - and stay there. Her educationally gifted but socially inept twins have left for University but it is not clear if it is this which has sent Eva "over the edge". Or was it simply the fact that someone had left a soup spoon on the chair she had carefully embroidered over painstaking sessions at night school? The story that unfolds is full of the characters whose lives are impacted by Eva's withdrawal from normal life - boring husband Brian, his lover Titania, the dreadful twins, her mother and mother-in-law Ruby and Yvonne plus the intriguing Alexander who takes the job of "odd job man" to heroic proportions. As Eva ponders on love and life, she finds herself attracting attention from all kinds of people who believe she has the power to solve their problems. Far from cutting herself off from the world's concerns, the world and its problems arrive at her doorstep, in the shape of an encampment of the miserable and the hopeless. In fact the book is almost too full of characters - many of whom the author appears to grow tired of, so we never really find out what has happened to them (or why they were in the story at all.) I loved the characters of Ruby and Yvonne, each in their own way doing their best for Eva. And Alexander was thoroughly likeable and probably the most believable character in the book. I was pleased the twins, Brian Junior and Brianna (yes, really!) had each other to rely on because it meant I didn't have to get too bothered about them myself. The basic premise of the book, as attributed to Plato and many others, is: "Be kind, for everybody you meet is fighting a hard battle." I didn't completely get it, I'm afraid, despite the rather poignant ending. And while the book did make me laugh, on account of its sheer silliness, it really wasn't as hilarious as the reviews had led me to hope. I have just heard that two of the books I have read recently (and which are reviewed on this page) are being turned into TV series - so I thought I'd share the news in case you had not heard. 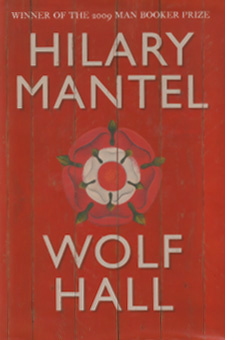 At the same time, BBC Two has announced a six-part adaptation of Hilary Mantel's books about Thomas Cromwell - "Wolf Hall" and "Bring Up the Bodies." 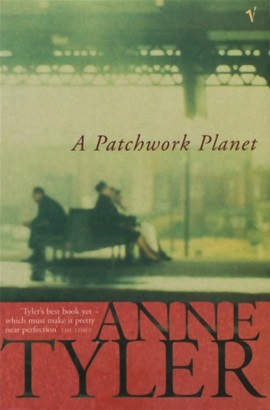 I just love Barnaby, the main character in Anne Tyler's beautifully written novel, "A Patchwork Planet." Like many of her heroes, he is a bit of a loner, a social failure, out of step with his rich and successful family who see him as the "black sheep" of the clan. But he also has a keen sense of humanity which shapes his contacts with those around him, particularly the old, and often lonely, clients of "Rent-a-Back" who know Barnaby will always be there when they need him. Barnaby himself wouldn't see it like that, of course, which is part of the charm of this book. The story is told in the first person, by Barnaby, who is relentlessly hard on himself. We, the readers, know better; we determine to make up our own minds about Barnaby. We know, for example, that the "old friend" who has carved out a successful life and looks down on Barnaby these days, was one of his partners in crime as a youngster - but that it was Barnaby alone who took the rap for the burglaries they committed together. We like Barnaby all the better because, although he doesn't think kindly of his old friend, it would never have occurred to him to betray him. Barnaby sees the self-possessed Sophia as his family "angel" who, simply by loving him as he is, will keep him on the straight and narrow, but she lets him down, at the last, by showing that she doesn't really trust him. Then, ever-present, there is Martine, his "buddy" at Rent-a-Back, who, when Barnaby is falsely accused of stealing from Sophia's aunt, makes sure all his other clients know so that they can show their support for him. There are some touching scenes between Barnaby and Opal, the little daughter he only sees on "access days" and who calls another man "Daddy." And the description of how Barnaby comes to view the breakdown of his marriage, wishing he had held on and not driven his wife, Natalie, to leave him is as thought-provoking as it is moving. "Don't you look youthful!" a physical therapist said once to Mrs Alford, and she said, "Me? Useful?" and the thing that killed me was not her mishearing but the pleasure and astonishment that came over her face." It's the same Mrs Alford who provides the title of the book. She had been making a quilt of Planet Earth, which she finished in a rush just before she died. "Planet Earth, in Mrs Alford's version, was makeshift and haphazard, clumsily cobbled together, overlapping and crowded and likely to fall into pieces any moment." Rather like Barnaby's life, then. A treasure of a book. This book was loaned me by a friend - thank you, Eleanor! - and I am still trying to decide what I think of it. We first meet the heroine of the story, Rose Edelstein, when she is just 9 years old, at the point when she discovers she has an unsettling "skill". Whatever she eats, she is able to taste the feelings of the person who made the food in question. Which is fine when the cook is a happy and fulfilled person - but not when she is full of despair and hollowness. And especially when that cook is your own mother. I just about managed to believe, and be interested, in Rose's strange "gift". I was vaguely interested, too, in her dysfunctional family, but could not work up any real feelings, of either affection or dislike, for any of them - though I did like the story of how Rose's father and mother met. My favourite character (and probably the most believable in the whole book) was George, best friend of Rose's brother, Joe. George took a scientific approach to Rose's ability to taste emotions, taking her to a bakery which specialised in home-made cookies where the cooks could confirm the accuracy of Rose's taste-buds. But why didn't George apply a similar approach to his friend's "issues" when they arose? I know it's "surrealism" or "magical realism" but, to be honest when I finally understood what was happening to Joe, my first thought was that Aimee Bender was having a laugh at our expense. Having read "The White Queen" (see previous review) I just had to dive straight in to the story of Margaret Beaufort, heiress to the House of Lancaster and mother of the boy who would become Henry VII and unite the Houses of York and Lancaster. With her self-righteous piety, Margaret is not so easy to love as Elizabeth Woodville, the beautiful wife of Edward IV who was the heroine of the first book. But the author is clever enough to let us see the damage caused to poor Margaret as a child - married at 12, a mother at 13 after a traumatic birth when her own mother advised that, if the worst came to the worst, it was the child who should be saved, at the expense of the mother. Even though that mother was her own child, and just a child. This book follows exactly the same timeline and sequence of events as "The White Queen" but seen from the opposing perspective. This means that, taken together, the two books provide an extra dimension and a far rounder picture of the Wars of the Roses - the Cousins War - than from one account alone. The titles of the books bring echoes of the game of chess, highly appropriate as Elizabeth, for the House of York, and Margaret, for Lancaster, battle and scheme to see their own sons survive, thrive and fight for the throne. One of my favourite characters in the book is the peacemaker, Sir Henry Stafford, Margaret's second husband who takes the poor, damaged child-woman and treats her with gentle kindness. Sadly, she comes to despise him for what she sees as his cowardice and, through her wilfulness and sense of her own destiny, turns a cold shoulder towards him. The final battle scene is brilliantly written so that, even though the result is history(!) the reader still waits with bated breath to see on which side the gathered troops of the Lords Stanley and Northumberland will finally rally. For most of the book, Henry is a small baby, a growing child, a young man - only in the final battle with Richard III do we gain an insight into his feelings. Read the two books together - double the understanding, double the historical insights and, most of all, double the pleasure! Everyone has been getting excited recently over the discovery of a skeleton which just might be that of Richard III. Quite by coincidence, I've been enjoying the first of a series of books about the Plantagenets and the Wars of the Roses by celebrated author Philippa Gregory. "The White Queen" is the story of Elizabeth Woodville, who despite being a commoner, was loved and wed by the young warrior king, Edward IV. The author believes that Elizabeth Woodville has been served a raw deal in the history books - and sets out to provide us with a different slant on this woman who many thought had charmed her way into the King's favours through witchcraft. Elizabeth was the mother of the Princes in the Tower and fought for her boys' heritage with everything she had. The fate of the two little boys is one of the great mysteries of our history and Philippa Gregory has some fascinating suggestions to make as to what might have happened to them. The life of Elizabeth is closely intertwined with that of another strong - but totally different - woman, Margaret Beaufort, so I am now eagerly reading the next book in the series "The Red Queen" which tells the same story of war and betrayal but from the other woman's perspective. As a historical novel, "The White Queen" lacks the sheer breadth of Hilary Mantel's "Wolf Hall" (see my earlier review) but it's a cracking good read if you like delving into the past. Watch out for my review of "The Red Queen" coming shortly! 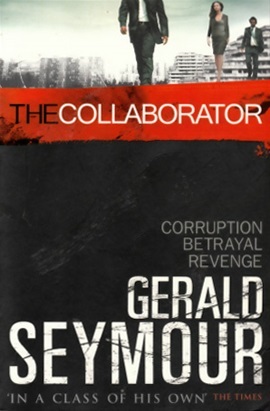 I always enjoy a really good thriller - especially one from the pen of Gerald Seymour. I thought this was one of his best, particularly because of the dilemma at the very heart of the story. Immacolata Borelli is the daughter of a ruthless Naples gangster, brought up to be part of a Mafia family. When she witnesses her family's part in the death of a dear friend, she decides to turn collaborator and to give evidence against her own family. Despised by the police with whom she collaborates, hated by the family she has betrayed, there is only one person who is totally on her side - and he is walking straight into a living nightmare. Tightly written, fast moving, engaging the emotions through two likeable main characters - this is a thoroughly enjoyable read, which keeps the reader guessing right to the end. I made the mistake of taking this book to read on a very long train journey to and from Pershore in Worcestershire a couple of days ago. 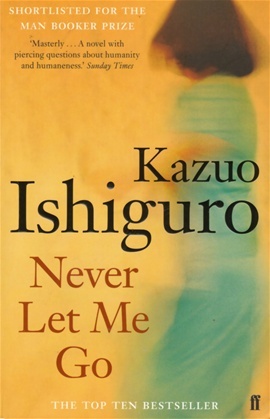 It was a mistake, not because it didn't help make the journey seem to pass more quickly (it did), but because the plot revolves around the repercussions of the sudden death of the husband of one of the main characters - on a train journey. The book follows three women - the widow, her best friend and a young woman who witnessed the tragedy - over the week which followed. It paints a moving picture of dealing with a sudden and tragic bereavement and one which anyone who has experienced grief would recognise as truthful. 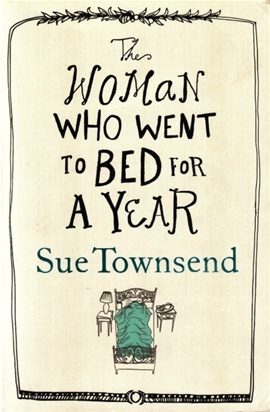 At the centre of the story is the relationship between the three women - the blurb on the back of the paperback version I read described this as "an intimate, thoughtful novel celebrating women's friendship." I understand why it was billed as such - but while the circumstances touched me (how could they not?) I never really relate to the whole "sisterhood of women" theme. Perhaps I'm of the wrong generation? Or just contrary that way? What I liked most about the book was actually its setting - in Brighton, which is very near my home town. Sarah Rayner's descriptions of Brighton were spot-on - not just its buildings and environment but also the very character of the place, what makes it "tick", why it is celebrated for being one of the most liberal, tolerant and laid-back towns in the UK. And the story-within-a-story of the life and death of a homeless man, a reformed alcoholic who tried his best to live as healthily as a life on the streets allowed, was truly moving. This is the third book by Victoria Hislop I have read - The Island and The Return were the other two. I can't quite put my finger on why I don't like Victoria Hislop's writing style. Perhaps it's the dialogue which doesn't exactly dance off the page; or the fact that she races through momentous events in a few, almost off-hand, words. Certainly I never finish one of her books with melodic phrases running round and round my head - which happens with many of the best books I read. But I always love the characters she depicts. I care about what happens to them. And she turns a spotlight on historical events in countries I love, but know little about. The Thread is set in Thessaloniki, a place I have never visited, though I've been to many other places in Greece and its islands and would always be ready to return again - and again. The story is not unlike The Return - different country, different characters, same story of struggle and internal strife, retold to someone of a later generation. I loved the idea of the needlewoman, telling a story through the embroidery she patiently stitches - pomegranates and butterflies and, more importantly, the symbols which would ensure that those forced to leave Thessaloniki - Jews, Muslims and Christians alike - would know what was theirs, if they ever returned. Will I read Victoria Hislop's next book? Yes, probably, but I suspect my review would be very much "same again." I hope she proves me wrong! My friend Erica urged me to read this book. I bought it months ago to take on holiday, then forgot to pack it. Last week I discovered it hiding away on the book-shelf and I'm so glad I saved up the pleasure of reading it till now. It is a book well worth the reading. The story is set in the town of Jackson, Mississippi in the early 1960s. Perhaps one of the most sobering thoughts for me is that this is not so very long ago, very much in my lifetime. Providing a context, there are references to the assassination of John Kennedy, and the "I had a dream" speech of Martin Luther King but nevertheless this is very much a small-town story. The picture it paints is of black maids (the "helps" of the title) trusted to raise the children of their white employers but considered too dirty to use the same bathroom. It is a story of prejudice and hate but also of courage, sisterliness and love. Aibileen, one of the three main story-tellers, is an amazing woman. I love the way she cares so fiercely for her latest charge, Mae Mobley, providing her with all the love and attention that she does not get from her strangely unfeeling mother. It's Aibileen who tries to boost Mae's self-esteem, telling her all the time: "You is a smart girl. You is a kind girl. You is an important girl". I won't give anything away but how I cheered when Baby Girl (as Aibileen calls Mae) somehow turned the tables on her parents and her teacher and stuck up for Aibileen, the nearest thing to a mother she knew. Miss Skeeter is the white woman who seeks to tell the stories - good and bad - of the black women employed as helps. She knows how powerful those stories will be, though she does not realise just in how much danger she is placing the women who help her - Aibileen, the wonderfully outrageous Minny, and a dozen more. Parts of the book alarm and disgust the reader and I found myself shaking my head in disbelief at the callousness, the casual cruelty and the downright ugliness of the behaviour of some of the characters. But the good and the godly shine through. At the end of the book we don't know exactly what will happen to Aibileen - but we can believe that life will be better for her because she had the chance to tell her story. Please read it, my friend Erica told me. I am so glad I did. This is a thumping great, gorgeous feast of a novel - all 650 pages of it! It's set in Tudor England - everybody's favourite period of history, especially as we didn't have to live through it. Henry VIII is desperate to divorce his first wife and marry the bewitching (to him - though she gets a bad write-up in Wolf Hall!) Anne Boleyn. It's not only physical desire which drives him but the importance of fathering a male heir to safeguard the future of the country. At the very centre of the story is political genius Thomas Cromwell who, despite humble beginnings, has built his own empire within Henry's court through hard work and the application of a ferocious intellect. Hilary Mantel's sympathetic depiction of Thomas is a long way from the accepted historical version of a brutal bully who tortured his enemies and was central to bringing the saintly Sir Thomas More to his death. Wolf Hall presents Thomas More in a very different light, certainly challenging my perceptions which were gained, for the most part, from the film "A Man for All Seasons." Here is a man who looks after his own, who is loved by his children, his wards and the many others he brings under his wing. The sheer brilliance of the man, the breadth of his knowledge and the extent of his influence are awe-inspiring and makes me ponder on whether there is anyone alive today who could match him. But what a dangerous time to be alive and at a Royal Court which reels with scandal and scheming! Hilary Mantel paints the best picture of Tudor England I have ever read. Today's politicians may dread finding themselves and their misdeeds laid bare on the front pages of the newspapers; in Henry VIII's time, disgrace meant a very public beheading, disembowelling or death by fire. The contrast between the brutal world in which he moved and the tenderness of Cromwell's care for those he loved is beautifully drawn. I loved the scene where Cromwell brings his son, Gregory, to see the portrait of himself painted by Hans Holbein. "I fear Mark was right." "A silly little boy who runs after Geroge Boleyn. I once heard him say I looked like a murderer." Gregory says: "Did you not know?" I had to google the portrait so I could see for myself! My daughter, Anne, loaned me this book and defied me not to cry while reading it. Well that was not going to happen, was it? I read it at a single sitting. It was an easy read but that is not to say that the subject matter was easy. The book's heroine, Louisa, has a six month contract as a carer to quadriplegic Will Traynor who has just one thing on his mind - to end his life at a Dignitas clinic. When Louisa discovers his intentions, she sets out to change his mind. 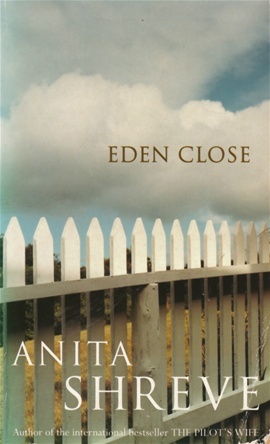 There is a strong element of "Educating Rita" about this book, as Will realises that Louisa has considerable untapped potential which he is determined to unleash. Louisa is a sympathetic character and her close-knit family is well-drawn. The contrast between her family and Will's wealthy background is an underlying theme running through the story. Most of the story is told through Louisa's own words but every so often a chapter would be related by another character - Louisa's sister, Treena, or, once, Will's father Stephen. I found this slightly irritating especially as there was not sufficient difference in the tone or style of voice coming through. 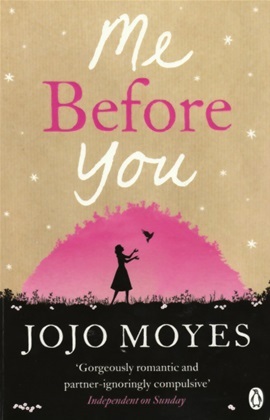 And if Jojo Moyes felt it necessary to tell parts of the story through different voices, then why not through Will's? This was prize-winning author Anita Shreve's first novel - and an excellent debut too, full of the promise of her future works. It's the story of a man who returns to his childhood home on the death of his mother and finds himself re-visiting the tragic events of an evening seventeen years before which robbed a wife of her husband and their daughter (the Eden Close of the title) of her sight. Andrew is a likeable and believable hero - both as a youth and as an adult. He finds himself pulled back into the past and unable to return to his high-flying city life until he has found a way to bring his childhood friend out of her life of darkness. Eden was more of an enigma - and I particularly loved the way the book allowed space at the end of each chapter for her voice, a series of random whispers, to be heard. All the characters were well-drawn - I felt I knew Andrew's parents, Eden's strange mother Edith, police chief DeSalvo, and Andrew's old friend TJ, full of bluff and bluster right up to the last chapter when we see a different side to him. I guessed the twist in the tale quite early on but it didn't spoil my enjoyment of the book; in fact in some ways it added to the puzzles as the story unfolded. This is a book of dark secrets, unravelled by the persistence of the man who came back - and sought to save a damaged girl he had always loved without knowing it. This is the story of three women linked by war - and, in particular, by the radio broadcasts transmitted by one of the three, Frankie Bard. Though I only ever toyed with radio work myself, my background as a journalist made me particularly relate to Frankie's efforts to "tell the story" of the devastating consequences of the Blitz on London in 1941. Her listeners back in the USA in the days before that country entered the war included a young doctor's wife and the postmistress of the title. Many times in the course of reading this book I found myself smiling in sheer delight at Sarah Blake's clever use of words - for example, postmistress Iris, reflecting on losing her virginity: "She had thought that she was the one who sped things along, the one who sent things on their way, but there she was for the first time, delivered." Sometimes it seemed as if there were almost too many stories struggling to be told and I found myself wondering which was the prime focus. Frankie's gathering of the voices of the Jewish men, women and children desperate to escape from impending doom was a big, big, story all in itself. You probably need to have experienced a 1950s childhood (like me!) or have a fascination for social history (also like me!) to get the most out of this book. It is jam-packed with recollections that had me exclaiming out loud: "Oh, yes, I'd completely forgotten about that!" The author, Paul Feeny, was born just a year after me so it's understandable that our childhood memories chime so consistently. However, while he does his best to recount how we girlies spent our days, he is much better at the boys' viewpoint. Only to be expected, of course. I did lose a little interest in a couple of chapters which turned out to be more like lists - the chapter on Radio and Television, for example, and the final chapter entitled "What Ever Happened To?" I also wanted to argue with the author over some of his assertions which did not match my own recollection. This possibly reflects more on my argumentative nature than the author's powers of recall. The book includes some great illustrations, my favourites being one of a Fifties classroom ( so different from today!) and another of children on a beach in Fife in 1951, wearing those saggy, wet bathing suits I remember so well. 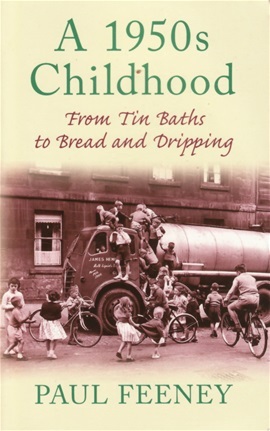 If you grew up in the Fifties, read and enjoy! This is one of those unsettling and disturbing books which are so very popular these days. It's set in England but in a kind of parallel universe In this "other England", the powers that be have come up with a way of dealing with the shortage of organ donors by cloning real people who will grow up to donate all their vital organs. The chilling way in which the main characters - Kathy, Tommy and Ruth - accept what is to become of them is one of the hardest things for the reader to come to terms with. The three friends grow up in a kind of boarding school called Hailsham where their "guardians" try to give them a good childhood, though the threat of becoming, first a carer, then a donor is always there, below the surface and even as very young children, the questions are there. I found it hard to relate to Kathy, the narrator of the story, but Ruth was a mirror image of a girl I knew in Junior School, always implying she knew about matters which the rest of us were too foolish to understand. Of the three, Tommy was my favourite, the most perceptive, underneath a somewhat disingenous exterior. As always the case with books like this, the reader has to suspend belief. Why on earth didn't the Hailsham "students" seek to escape, once they knew for certain what awaited them? Could anyone really be a carer for dozens of people going through donation after donation until they "completed" (what a chilling description) without finding a way of avoiding the same fate? That said, this was a real page-turner and I couldn't put it down. I'm pleased I read it - but I probably won't read it again! This book was loaned me by son-in-law Dave, who is an excellent source of more challenging reads. It is also the first book I have read about the Vietnam War. I am somewhat ashamed to admit how little I knew about either the background or the detail of this conflict - perhaps (and I admit it's no excuse) because it coincided with the time of my life when I was totally engrossed in bringing up a young family. Tim O'Brien's first hand account certainly brought me up with a start, face to face with the grim facts of war in such a very foreign field. What I loved most about the book, however, was the honesty of the author's admission that, while fundamentally opposed to the war, he somehow found himself going along with serving out his draft for no other reason than because somehow it seemed the easier of the two options - fight or flight. Only in letters to his friend - and in the chapters of this book - were his true feelings laid bare. I enjoyed the references, and comparisons, with Ernest Hemingway's war books (maybe need to re-read them?) And at the end of the version I read, there was a really good chronology, setting out the historical perspective which I found really useful in helping my understanding of the background to this war. 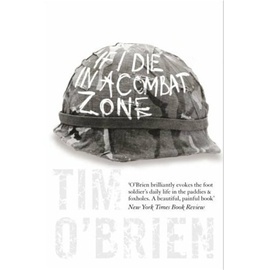 If, like me, you know little about the Vietnam War and would like a better understanding, then "If I Die in a Combat Zone" is an excellent place to start. If you are fascinated by the very human struggle of conscience versus duty, Tim O'Brien adds another, challenging dimension. I read a lot of children's books. I started simply because I wanted to be reading the same books as my grandchildren, so that I could talk to them about the books they liked - and the ones they never finished. I was introduced to Michael Morpurgo's "Kaspian, Prince of Cats" (about the sinking of the Titanic) one Christmas - and was hooked. I have heard some pundits criticise Morpurgo for the simplicity of his sentence construction and vocabulary. But what stands out for me is the way he takes really important events from recent history and - however hard the telling - makes them come alive for his young readers. Nor does he flinch from the truly awful - the potato famine in Ireland, the separation of young orphans from their brothers and sisters to send them across to Australia and, of course, most famously, the plight of the horses sent into battle in the First World War, told also now on stage and screen. 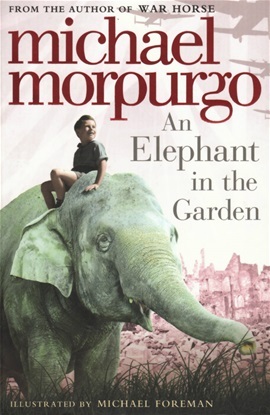 It was sheer coincidence that I started reading "An Elephant in the Garden" in the week when the men of Bomber Command in the Second World War finally received national recognition of the sacrifices they made. For this book is set in Dresden, the city bombed to destrruction by the Allies - and it's told from the perspective of a young German girl forced to flee for her life from the flames of the city. She is accompanied by her mother, young brother and, yes!, an elephant called Marlene. The passions raised by war, the hatred felt for the perpetrators by those who have seen their city burn, followed by the realisation that love and friendship can overcome the barriers of hate - these are all good lessons for young children to hear. The description of the bombing and of the burning city gripped me and, to answer the critics, I think it was the simplicity of the language which held attention: ""The flames from burning houses and factories were licking high into the sky, leaping from one building to the next, from one street to the next, from one fire to another, each fire it seemed to me, seeking out another fire to be with, so it could become an inferno, so it could burn more furiously." And what's the point of the elephant? Well, as an adult I could have probably enjoyed the story with or without Marlene. For younger readers, I suspect she made it all just that bit more entertaining. I love the twists and turns of a Robert Goddard novel - especially as he always seems to come up with one final unexpected twist, just as you are congratulating yourself that you'd sussed it all out. This book follows the story of a man thought to have died in the battle of the Somme - but did he? His daughter, Leonora, is keen that her own daughter should understand the puzzle of love and loss which had shaped her life and brings her to the Thiepval Memorial to start a journey back in time. One thing I found a little irritating about the book was the shift in raconteur - first it was Leonora, then it was Leonora telling the story in the words of Franklin, a friend of her dead father, then it was Willis. Most confusing! I loved the story within a story of Miriam, the first Lady Powerstocke, and the man who loved her, in secret. And there was a hint, in the inscription, that this was a book with a very personal meaning for the author, dedicated as it is to Frederick John Goddard, "Missing presumed killed in action" in Ypres, Belgium in April 1915. 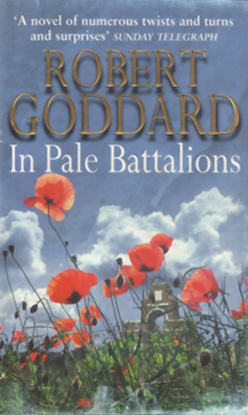 "In Pale Battalions" isn't my favourite Robert Goddard novel - but it's certainly worth a read. Smashing compendium of reviews here. I've read a few of these but not all. Trouble is I still haven't retired unlike some people I know. Will I ever retire?